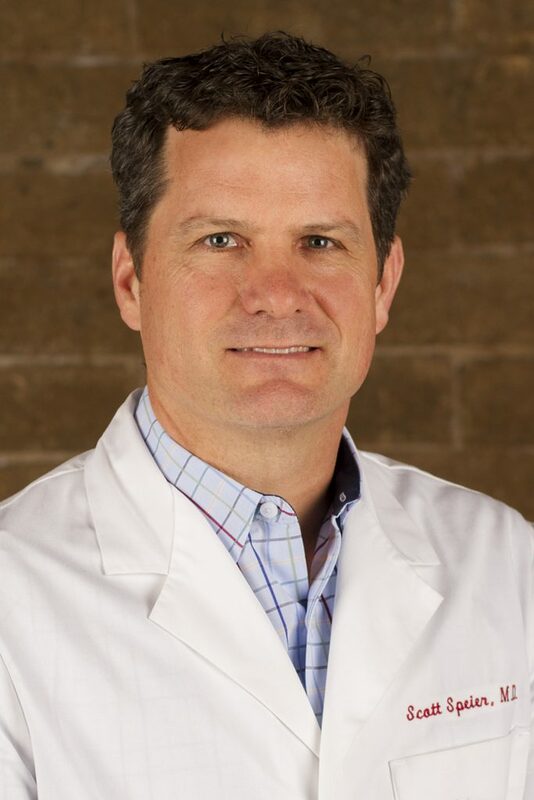 Dr. Scott Speier was born and raised in Santa Barbara California. He attended Dos Pueblos High School where he and his twin brother tied for valedictorian honors. He attended college at UC Santa Barbara followed by medical school at UC Irvine, graduating with honors from both. He did his residency training at the Ventura County Medical Center and has been working full time at the Ventura County Medical Center Emergency Department since 2001. Dr. Speier and his wife Terri celebrated their 25th wedding anniversary in June of 2014 and are the proud parents of 5 children. Their first grandchild Lucia was born in 2013. He enjoys contributing to the education of the bright young resident physicians of the VCMC family medicine program, spending time with his family, being involved in his church, and staying active with fitness and sports.